First Choice Painting & Remodeling Offers Pressure Washing in West University Place Texas. When it comes to affordable pressure washing in West University Place Texas, no one beats First Choice Painting & Remodeling's experienced technicians. Increase your curb appeal and renew your love for your home by pressure washing your West University Place driveway, deck, patio or home exterior. Call (832) 271-4712 today for a great price! Regularly pressure washing your West University Place home or building is an inexpensive way to keep it looking it's best. Pressure washing your West University Place house is the quickest, most cost effective way to restore its beautiful appearance. 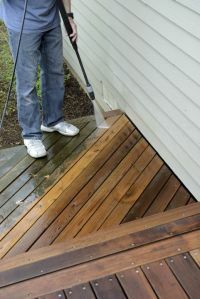 Why come home to a dull-looking home exterior or dirty deck? Keep those sidewalks looking great year-round without spending a fortune. First Choice Painting & Remodeling would be happy to provide a one-time pressure cleaning or schedule periodic cleanings. When it comes to quality equipment and products and affordable pressure washing service in West University Place, Texas, First Choice Painting & Remodeling is the pressure washing contractor West University Place residents trust. We've been offering painting services in West University Place since 1997, and pressure washing is a natural service add on. Before we begin each exterior painting job, your house in West University Place is pressure washed and allowed to dry completely. Only then is it ready to accept a fresh coat of paint. Call the experts at (832) 271-4712.